An insert is used when converting an existing brick, masonry or factory built fireplace. 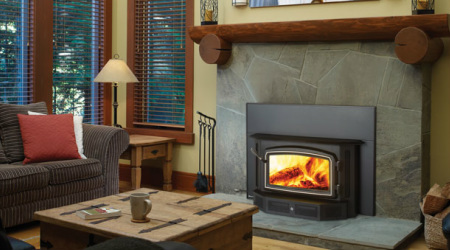 Transform your inefficient fireplace into an efficient gas heater. No more drafts, ash removal or maintenance. Easy conversion from existing inefficient fireplace. Convenient, waist height, finger tip controls. Easy conversion from an existing inefficient fireplace. A variety of styles and finishes to suit your home décor. Efficient EPA certified heat with very low emissions.